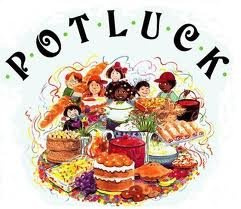 Bruce Jackson or Cecile Fausak at 780-675-7753. This position is still open and interviews will be in April. 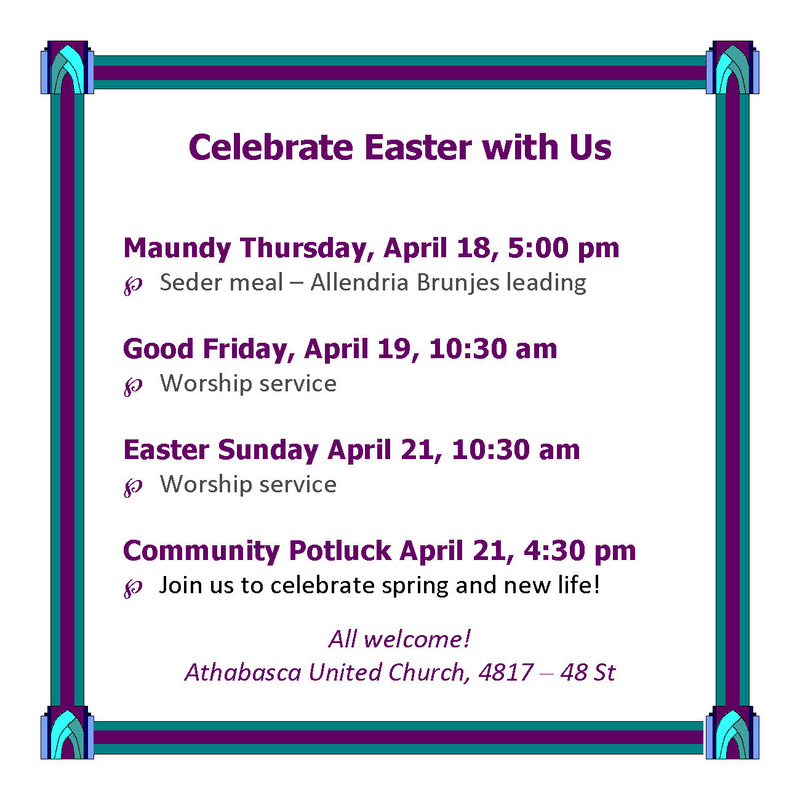 Athabasca United Church shares hope, love and compassion with individuals and families in our community through pastoral care, small groups, worship and outreach. We worship God, which inspires advocacy and outreach to engage, educate and empower our community. 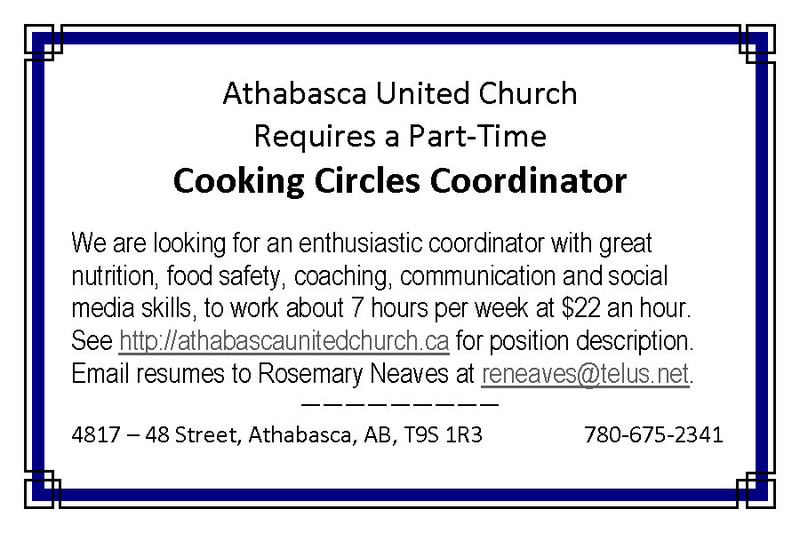 Our dream for the future: We are an affirming, diverse, Christian community that is sustainable and is making a difference in the Athabasca region. Integrity: words and deeds match up. I am who I am, no matter where I am or who I am with. Teamwork: cooperative effort by a group or team. Learning: valuing the lessons we glean from particular interactions, education is prioritized. Communication: honest and open transference of thoughts, opinions and information to stakeholders. Faith/Religion: belief in a higher power. We have a place for you. Why not visit and get a feel for our church? 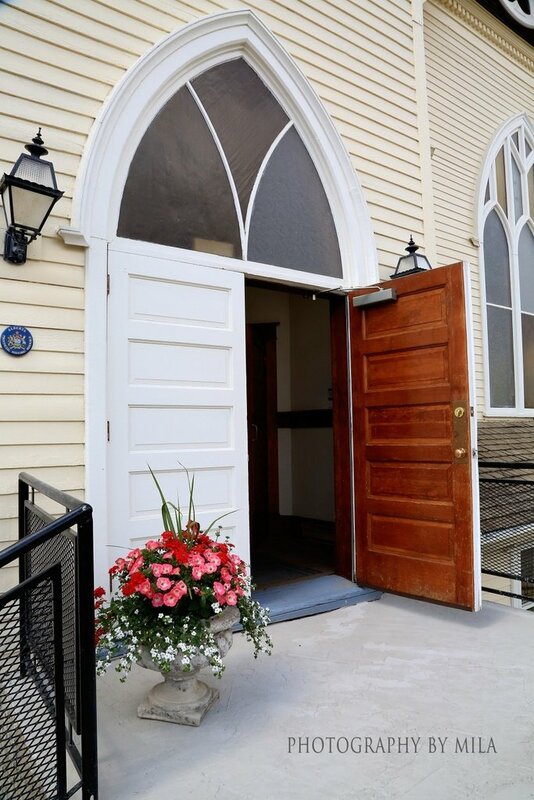 Drop in for any of our gatherings or community events, or just stop in at the church building for a visit. Of course, feel free to contact us at any time. To enjoy life stories and photographs of local participants, please go to: http://digiport.athabascau.ca/aasmp/. Check out this website and enjoy the oral life stories and photos of several Athabasca seniors. 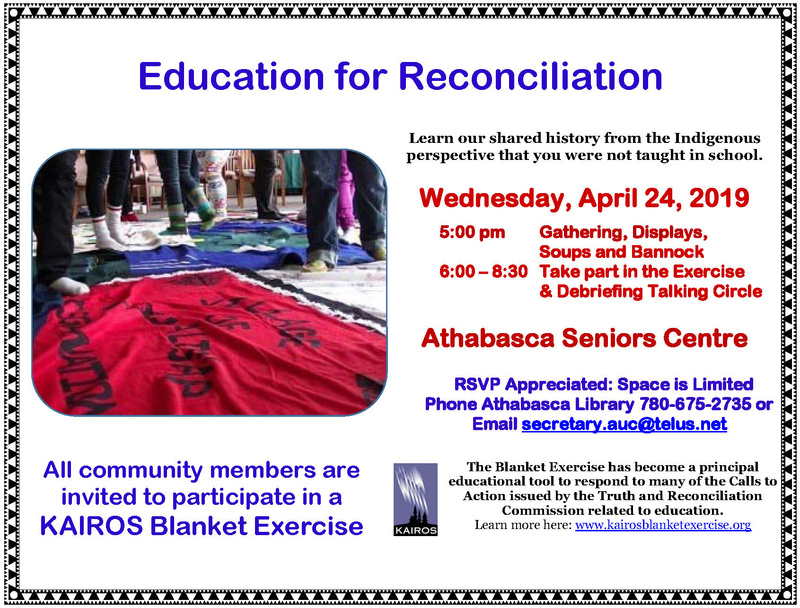 To add your story to this collection, or help as an interviewer, please contact Rosemary Neaves at 780-689-6652 or secretary@athabascaunitedchurch.ca.